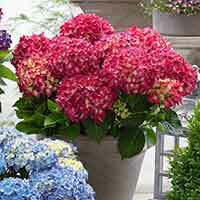 An absolutely delightful, colour changing hydrangea that simply cannot be ignored. Scented flowers in July that are white and then turn pink in August, then deep red in September/October. 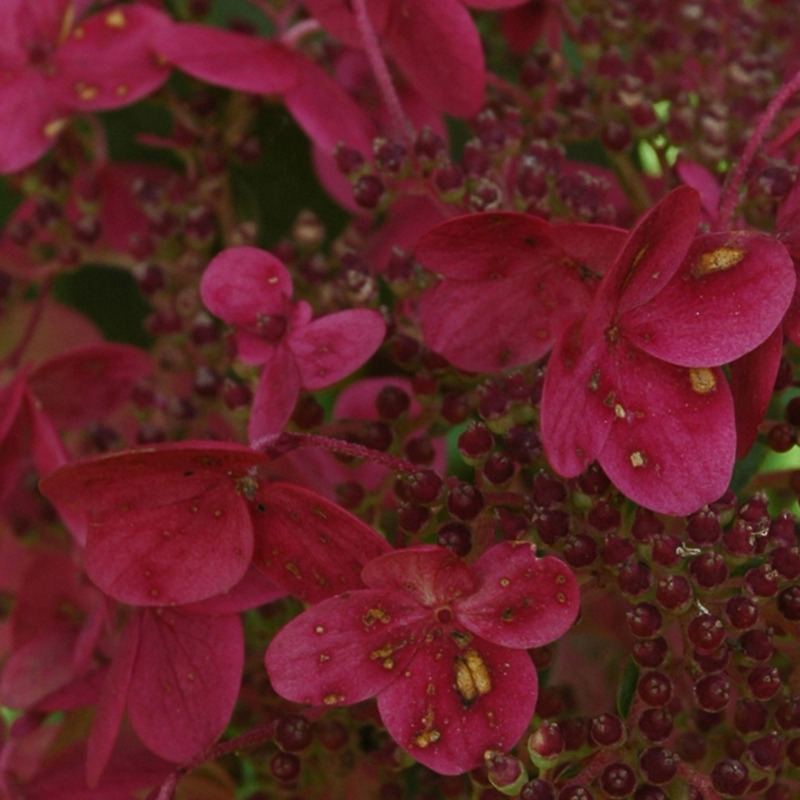 The deep green of its ovate, toothed foliage contrasts perfectly with its globes of dramatic flowers, making this shrub the perfect feature for a patio or as a centre piece for the border. 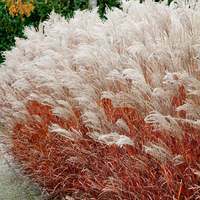 Happiest in full sun or partial shade Height 200cm. 9cm pot plants supplied. 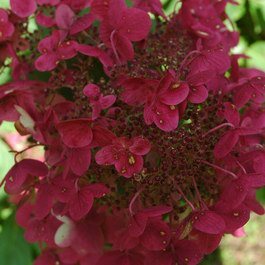 Hydrangeas can be grown in fertile, well drained soil and often prefer a shady location. 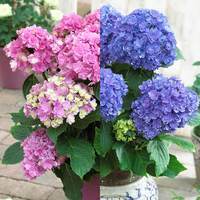 Make sure that the hydrangea receives lots of water when the summer comes. Hydrangeas are very low maintenance and will need little pruning, but can be done in spring as new shoots appear. 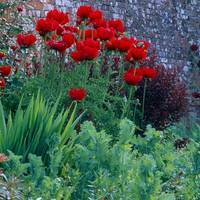 The old shoots should be left in the winter and not removed until spring. Apply a mulch annually to protect from winter colds.